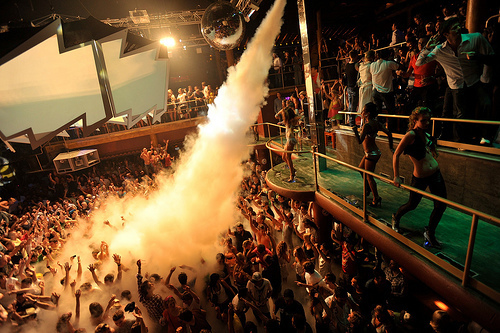 Club Amnesia (located half way between Ibiza and San Antonio on the main road, on the opposite side of the highway from the town of San Rafael) is not as Bohemia as Pacha, but at least the club is known for the public. "There is a sound body massages" - admired by fans of "Amnesia" on itself tasted the unique properties of sound corporate Expanded Amnesia Technology. 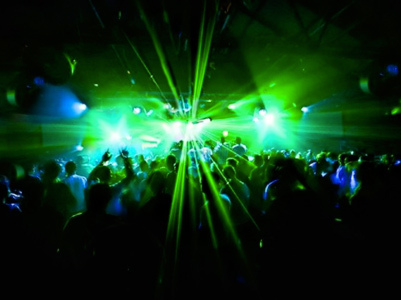 In the load to the unique sound here are world-renowned DJs such as Paul Van Dyk, Tiesto, Laurent Garnier, Carl Cox and many other famous names. Amnesia is also known for its foam parties, passing on Sunday morning: exactly 4 am the dancing crowd starts to flake fly foam, which is commonly used in fire fighting. Memorable experience, but remember that no one taxi driver after the foam party will not let you into their car. At 80 years young Basque Prontxio Izaguirre has control Amnesia. During this period, the music changed to dance. Mixes were in the genres of pop, funk, hip-hop. Also during the party used the free mixes and house style. Balearic bit was created by legends like DJ Alfredo Fiorito and DJ Huggy MacPherson, who were residents of the club Amnesia. On the night of June 22, 1991 Amnesia was opened under the MFC. During this period, the club has gained world renown. In the mid-90s, Ezna Sands, one of the most influential people in the UK dance scene, has played an important role in attracting the attention of many British promoters and record labels, including Joe Murphy, in Ibiza, in particular to Amnesia. 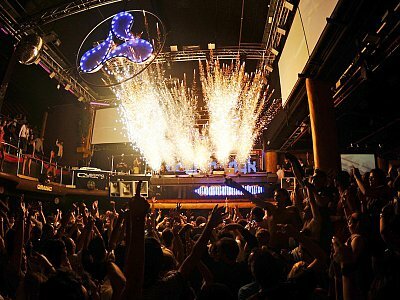 This made later mecca Ibiza club enthusiasts as Amnesia and Pacha have occupied a leading position among the other clubs. Because of the protests of neighbors, Amnesia had to abandon the open-air dance floor. After that, the club was greatly expanded for the number of bars increased from 4 to 16 during the summer festival staff increased from 30 to 200 people. Currently, the club staff member of the waiters, go-go dancers, security, svetozhokeev and office staff.